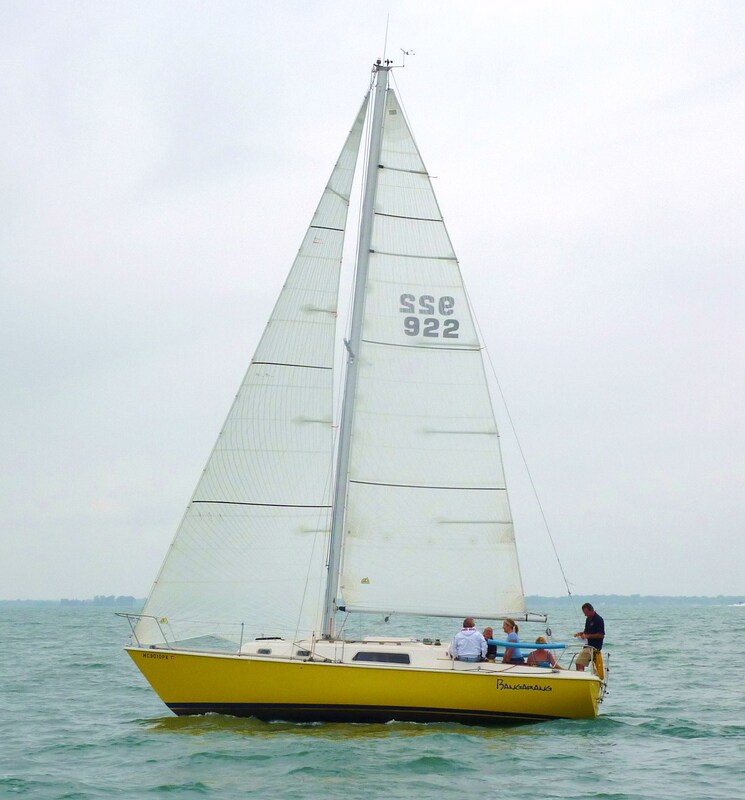 The West Shore Sail Club was established on April 12, 1972 by a group of 12 sailors from a number of marinas on the western shore of Lake Erie, hence the club name logically became the West Shore Sail Club (WSSC). The club was founded with the goal of providing fellowship for persons and families wanting to share the joy of sailing through cruising, racing, and off the water activities. The WSSC was founded on the premise of being a low cost, but still full value organization, unencumbered with the limitations of owning property and facilities, since all of the members would dock their boats elsewhere, but come together for meetings and activities. Because of this, as the club grew, meetings moved from member homes to Mr. Nick’s in Trenton, our current home. The activities of the club have also developed into a full calendar of events. The WSSC race program has always been the most widely attended in the downriver area with highly successful Wednesday Night at the Races (WNATR) program in 1973 growing into a full 15 race schedule. There are also many other Specialty races throughout the season. The Cruising Committee coordinates and organizes a number of cruises for each summer season to various points of interest. As you can see, the West Shore Sail Club is far from being a one-dimensional club. It has always offered sailing related activities to fit almost every need, and doing it well.